Two tablets a day, is according to research capable of keeping your skin young by slowing down development of wrinkles and improving skin elasticity. It sounds too good to be true, but nevertheless it is what dermatologists at Skin Investigation and Tecnology Institute in Hamburg has shown in a scientific study of Evelle. The trial, which lasted three months, included 62 women aged 45-73 years, where half got two Evelle tablets a day, and the other half received inactive placebo tablets. At the start of the study, all the women had a piece of their skin measured and scanned. This was repeated after six weeks, and at the end of the study. On the illustration you can see the structure of the skin at the start of the study, and after 12 weeks. 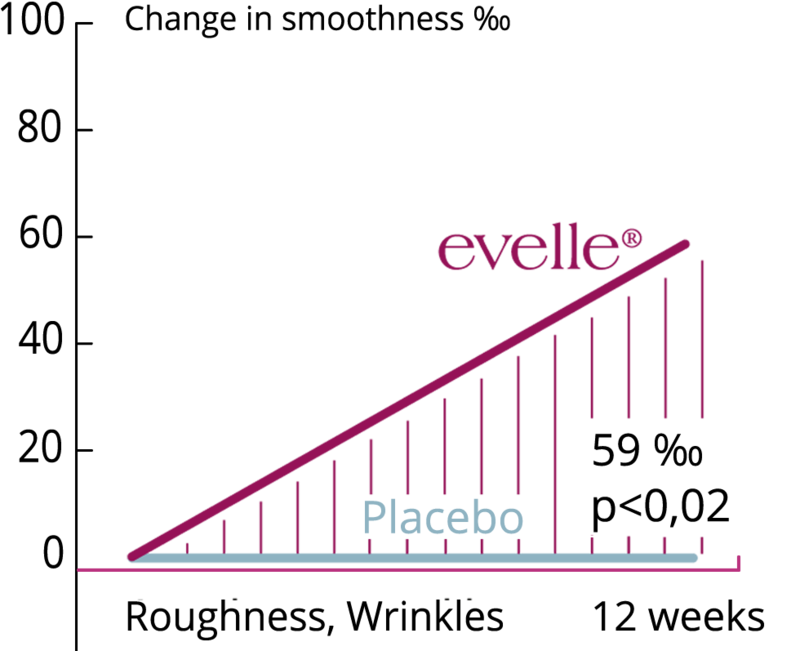 The skin was significantly smoother in the group taking Evelle after 12 weeks, compared to the placebo group. Researchers were also able to measure a change in skin elasticity. With highly specialized measuring equipment and using photo scans of the skin, researchers at Skin Investigation and Tecnology Institute could follow changes in the skin structure and elasticity. On photo scanning they were able to see the changes in skin wrinkles showing clear improvements. The study showed that by supplying the essential nutrients contained in Evelle, the skin's aging process was reduced. Scientific studies and research confirms that nutrients, absorbed by the body and delivered to the blood and into the skin, can recreate the skin's elasticity and reduce the development of wrinkles. In a placebo controlled clinical study, individuals using Evelle kept their skin at a normal level unlike those in the control group. The overall result of the placebo-controlled clinical study showed that the skin after six weeks was significantly more elastic. 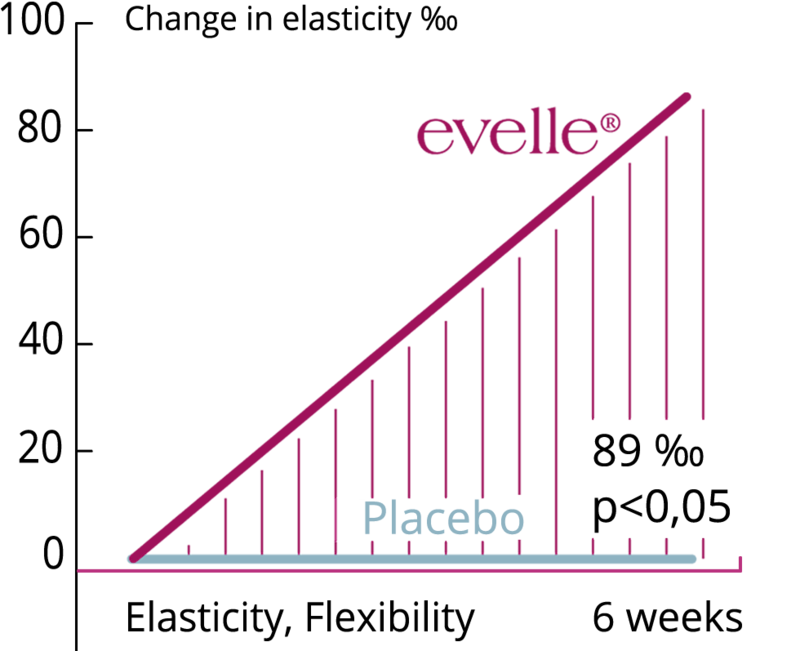 After 12 weeks, the skin was significantly smoother in the group who took Evelle compared to the placebo group.